A couple of months back I did a How To basic on caramelized onions. I wanted to make this a regular monthly addition, but somehow August turned into November really fast. There is a link for a printable version at the end. 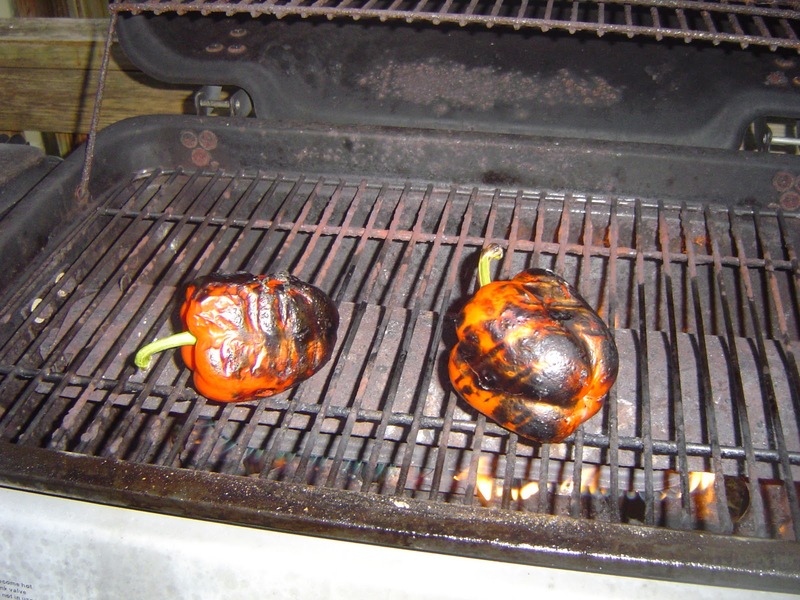 Step one - Start with clean peppers! 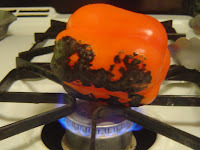 - Place one pepper directly over the flame of a gas burner. 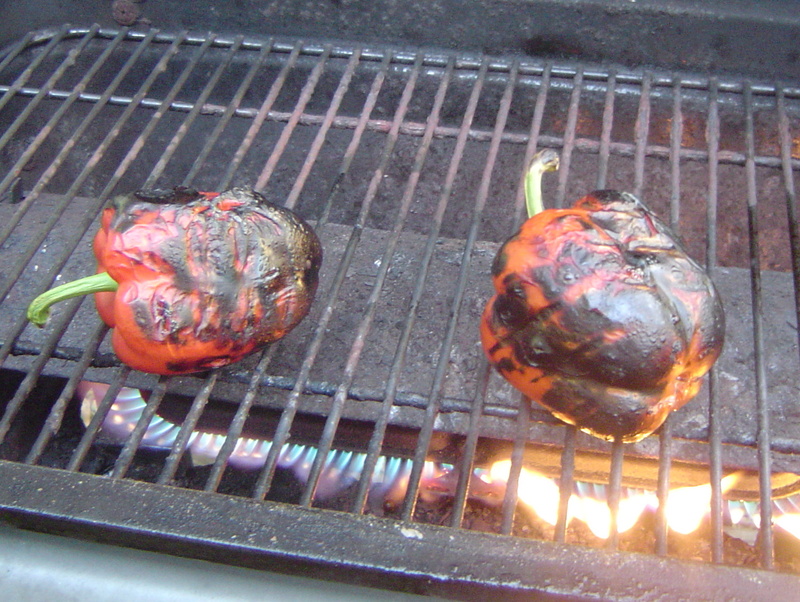 Use a medium flame and allow blackening all over, rotating the pepper. Each side will take about 2-3 minutes. 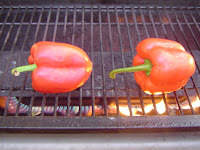 - Heat grill to medium high heat and place peppers directly yon grill. 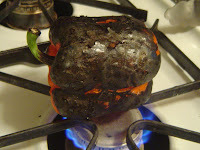 Rotate each side after it has blackened. Takes about 5-7 minutes per side. 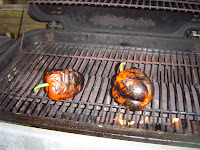 - Cut each side of the pepper off and remove membranes and seeds. Place skin side up and under the broiler (on broil) as close as you can get it, but no closer that 3 or 4 inches. 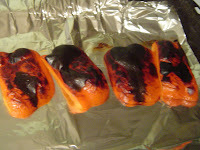 Allow top side to fully blacken. Approximately 10 – 15 minutes. Do not flip. Step three – Place peppers immediately into a zip lock bag and seal, or into a glass or ceramic bowl and cover tightly with plastic wrap. I prefer zip lock bags. Close tightly and allow steaming for 15 – 20 minutes. You can leave them longer so they cool enough to handle. 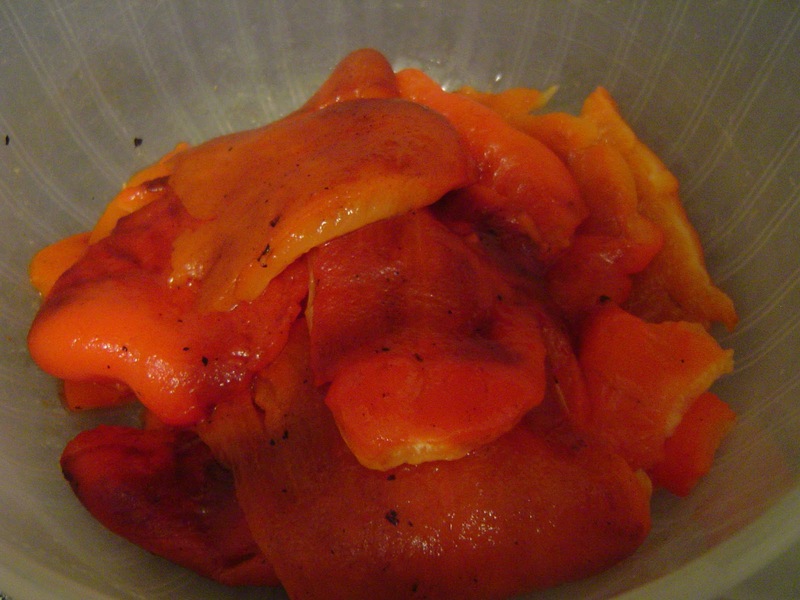 Step four – Remove seeds, membranes and stems from peppers. 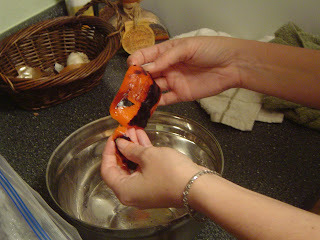 Then gently remove blackened outer layer of skin. Do not rinse. 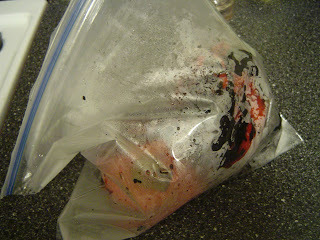 Use immediately or place in a seal container covered with olive oil for up to one week in the fridge. 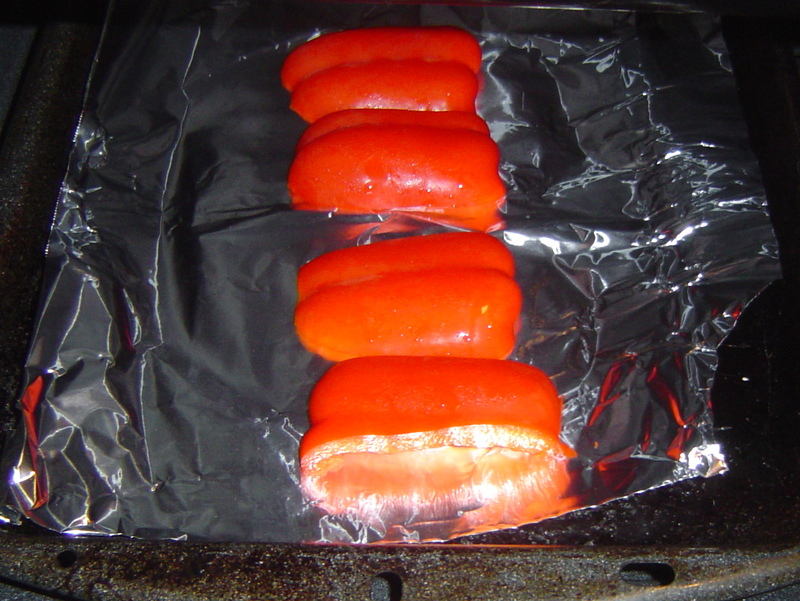 Four medium sized bell peppers yielded about 2 cups of roasted peppers. 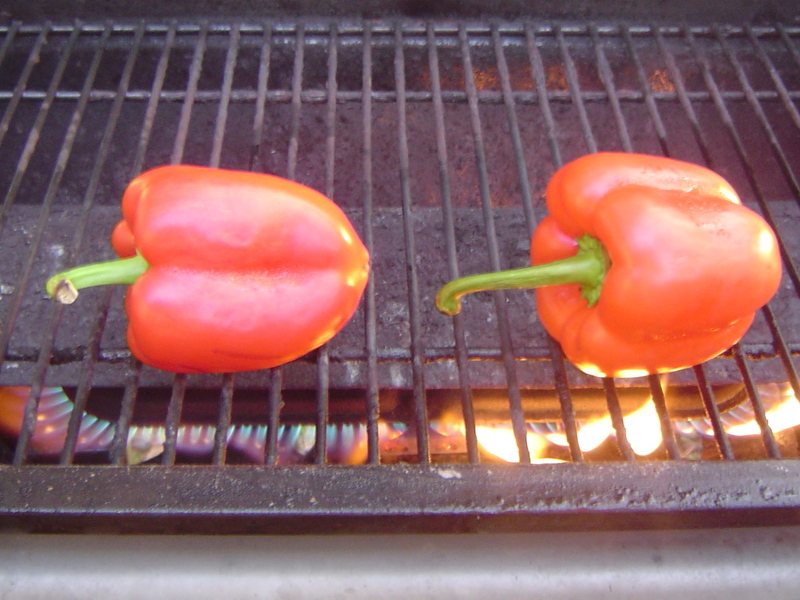 Anyone of these methods would be a great way for you to get fresh roasted red bell peppers. Don't get me wrong there is nothing wrong with the jarred kind, but sometimes you want the freshest ingredients possible. My next post will be using these for a Roasted Red Bell Pepper Pesto. It should be up in a day or two! I never thought of doing one under the broiler, great idea if you have more than one to do or no gas. I have seen a chef deep fry them before when in a hurry, I was appalled. What can your freezer do? Any McRib fans out there?